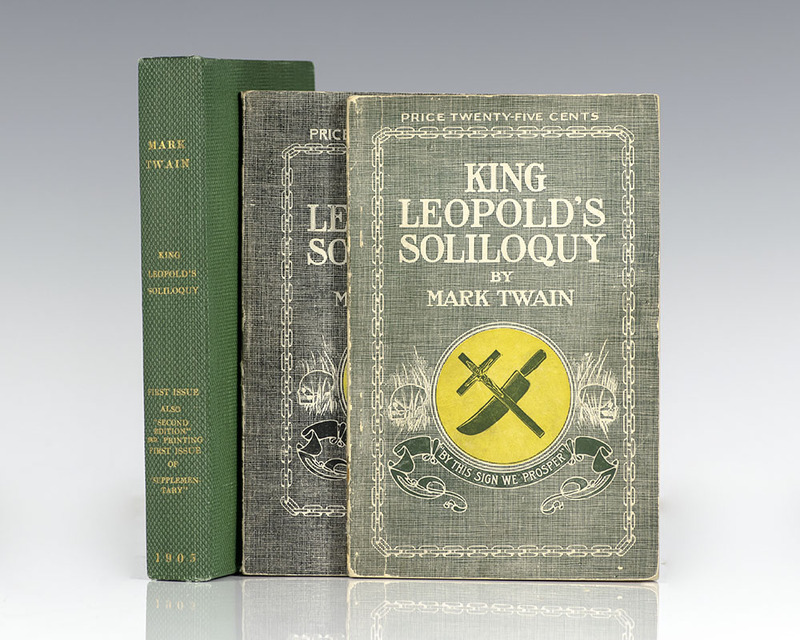 Harshly condemnatory of King Leopold's rule over the Congo Free State, Twain's 1905 pamphlet King Leopold's Soliloquy: A Defense of His Congo Rule ostensibly recounts a fictional monologue of Leopold II speaking in his own defense. 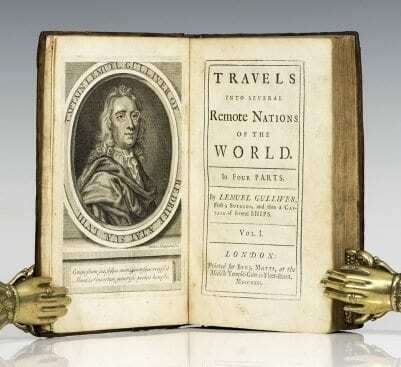 The pamphlet first appeared in English and was soon published in French, German and Italian. 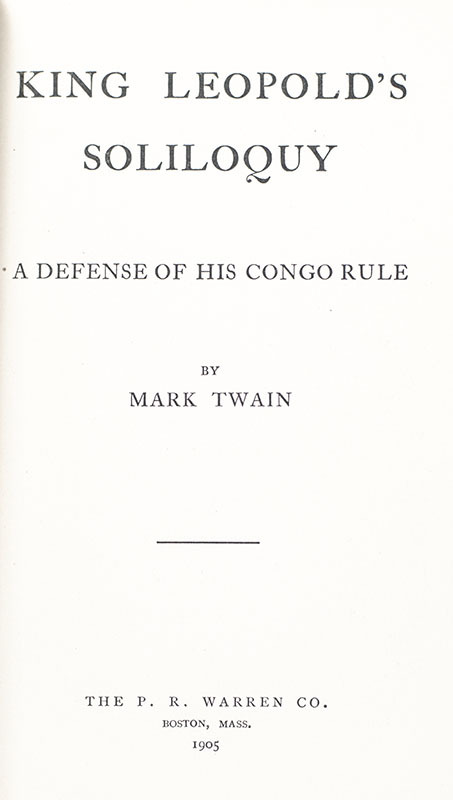 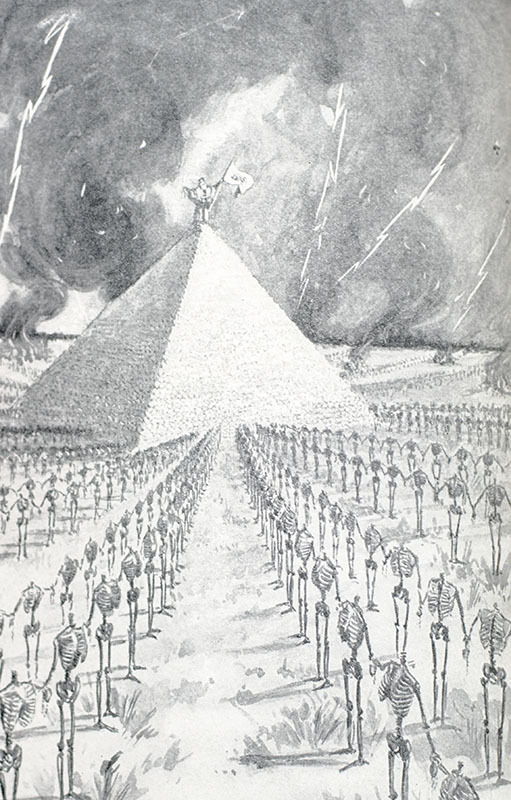 Boston publisher P. R. Warren Company from Boston, donated all surplus to relief and aid in the Congo atrocities.